Lamborghini Museum, sant'agata bolognese, Bologna . Information, Photos and Reviews. 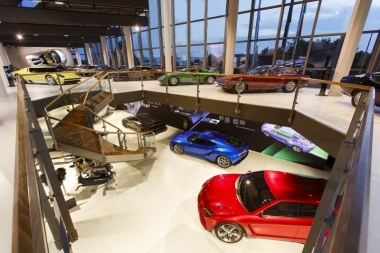 The Lamborghini Museum, was renovated on the 9th of June 2016 to provide exhibit space for all major milestones in the history of the brand of the Taurus: an exciting exhibition with vintage cars,prototypes, F1 vehicles, engines, pictures and photos that will accompany throughout the history of one of the biggest Italian car producers. Guided factory tours take place from Monday to Friday, from 10.00 AM to 4.00 PM. Each tour lasts approximately 45 minutes. To join a factory tour, you must make a reservation on our website in advance. On the website you will find all our prices and availability. Nobody has reviewed Lamborghini Museum yet, Be the first. You are submitting a booking enquiry. Lamborghini Museum will then contact you by email with details of availability and prices.